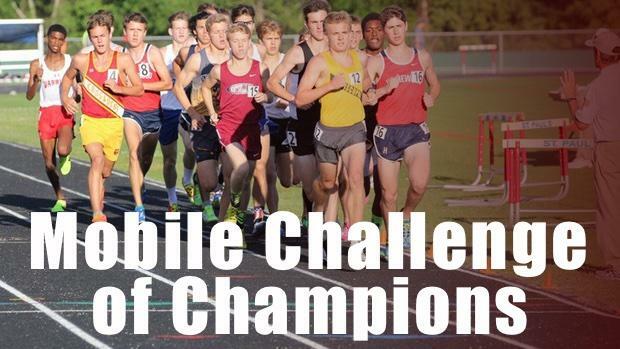 AlabamaRunners and MileSplit.com will be once again be providing a LIVE stream of the Mobile Challenge of Champions, which is annually not only one of the premier meets in the state of Alabama, but the entire Deep South and Southeast Region! Last year's meet produced over 148 MileSplit National elite performances. The 2019 edition of the event hosted over two days on Friday (open division) at UMS Wright and Saturday (invitational division) at St. Paul's in Mobile will be no exception under the leadership of meet director Steve Schoenwald. Expect some national class names and talent to converge into Mobile, Alabama especially for the Saturday evening session. Heat sheets and accepted invitational entries to be posted later this week as well as meet previews. Live results for the meet will also be found on MileSplit.com thanks to the excellent timing crew headed by Kevin Jones at Port City Timing! NO MINIMUM throw or jump then NO MARK for field events.